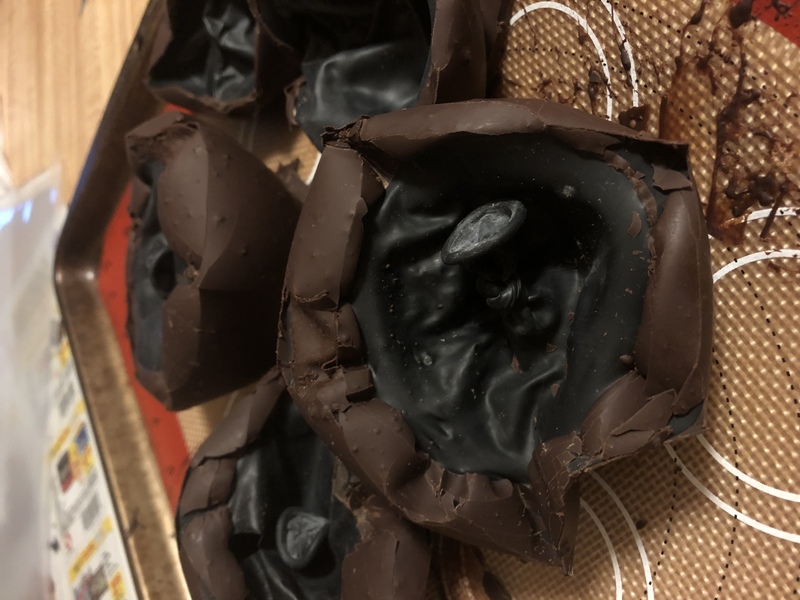 If you follow me on Instagram, you may have seen in my stories my epic failure in my first go-around with these chocolate cups. 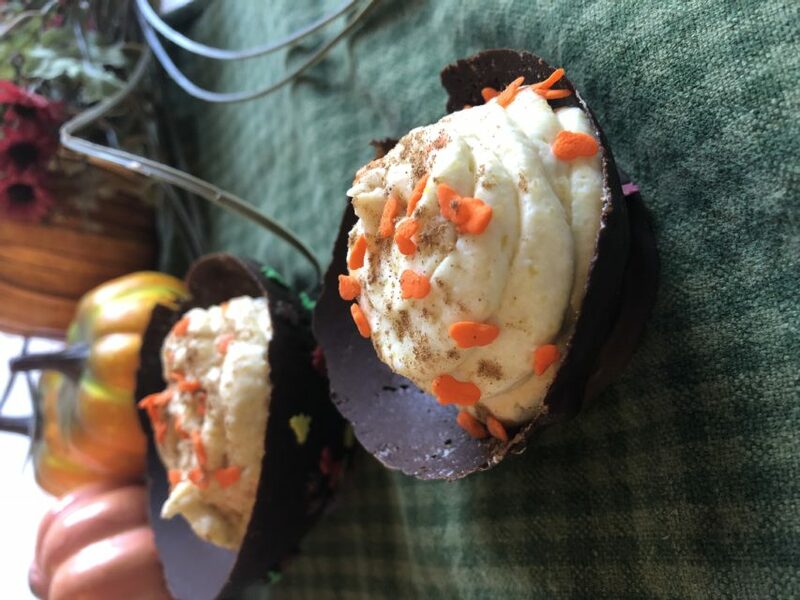 I saw a Tasty video where they made these cups with a mousse filling and I thought, “I could do that with a Paleo modification!”. What I didn’t do was actually look at the recipe and see any tips they gave on creating these cups. I still haven’t looked at it because it’s blocked by a sign-up. And I’m lazy and didn’t want to sign up! So, I just decided to attempt it on my own. And it was an epic disaster. You take balloons and dip them in chocolate. That’s what forms the cups. But the video doesn’t tell you that you shouldn’t dip the balloons in chocolate that’s really hot. Because it causes the balloons to burst and spray chocolate ALL over your nice clean kitchen. ALL over it! The cabinets, the walls, the floor, your white refrigerator. 🙄 It was crazy. Also, you need to spray the balloons with cooking spray before you dip them. Because the chocolate will stick to the balloon and then you get some kind of creepy, Halloween looking thing that will scare the children. It’s like some kind of chocolate shriveled eye looking thing! But my second attempt was successful. I cooled the chocolate and greased the balloons and all was well in the world. The mousse went really well the first time around and I was pretty excited by the texture I achieved without any dairy! There’s no refined sugar, gluten, or dairy in this recipe at all. The mousse is actually made with puréed pumpkin and coconut cream instead! And it whipped up into the most amazingly fluffy mousse ever! You have to try it! A big shoutout to Sprinkle Pop for sponsoring this recipe. Their sprinkles are so fun and come in all kinds of shapes and colors. They can even custom create sprinkles just for you if you want! 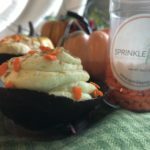 As you can see, the chocolate cups have these super cute fall leaves sprinkles embedded into them and the funfetti pumpkin mousse features their pumpkin sprinkles (of course). These are just a small snippet of the options they carry so please go check them out! They’re all gluten free too! Don’t forget to enter the #choctoberfest giveaway too if you haven’t already! Today is the last day to do so! I’ll link it below again for you so you can enter easily! There’s some fabulous prizes to win by our sponsors: Imperial Sugar, Forte Chocolate, Divine Chocolate, Barleans, and Sprinkle Pop. 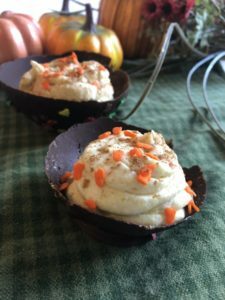 You’ve seen all of these wonderful sponsors featured in not just my recipes but all of the #choctoberfest bloggers this week and their products are all exceptional. They will be a regular in my pantry from now on! Thank you to all the sponsors that made this event possible! Fold in sprinkles gently with a spatula, by hand. Refrigerate 30 minutes to blend flavors and thicken mousse. 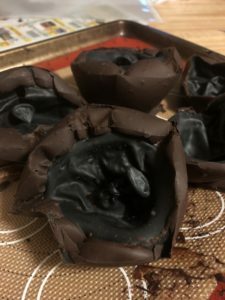 With a piping bag, pipe mousse into chocolate cups or whatever serving dish you’re using. 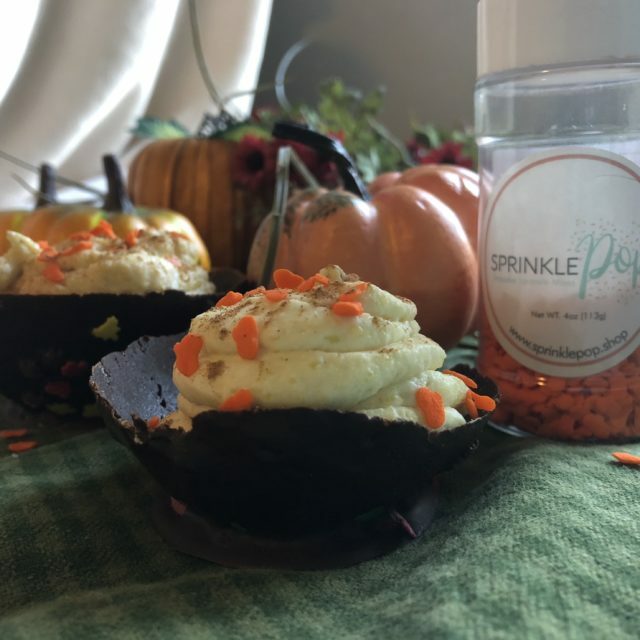 Sprinkle with additional Sprinkle Pop pumpkin sprinkles and serve. The Best and Easiest Gluten-Free Chocolate Chip Cookies Ever!